Computer Awareness is an important topic for Several Competitive Exams. Download Lucent MP3 from below chart. This Subject consists of 4 parts of audio files. This four parts of high-quality audio/voice will cover your all basics of the computer in your mother language. 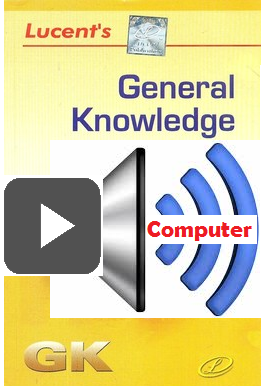 This computer audio will help you to memorize facts and concepts of Computer fundamental in a very easy way. These computer voice classes help you to solve MCQs of computer and available for free download. After listening to these audio notes you may do a practice of computer fundamentals here at this link. These MCQs will help to boost your computer awareness. These multiple choice objective Questions will surely help you to cover this section of General Awareness in very easy way. Your Like and Share motivate us to post more GK Notes. So, Please Like and Share it.